To start, any good wine region must have incredible wine. Check plus on that one! You think you know Malbec because you drink it here in the States? Think again! While here, we often view it as one of the least complex, easy to drink wines…often though of as the beginner’s perfect wine…in Argentina there’s a whole new world of Malbec to delight every palette. They’re often bigger, spicier, with deeper dark berry notes, but still very characteristically Malbec, with just a slight nod to a Zinfandel. I was head over heels in love! Then, there’s the Torrontés…Argentina’s lesser known but equally as beguiling white varietal. It’s grown almost exclusively in Argentina and is commonly known there as the “liar wine”. Why? Well because on the nose it has deep, sweet honeysuckle notes yet when you take a sip it’s crisp and dry and surprisingly refreshing. To hear a bit more about this unique, fun and affordable white wine check out our video on Torrontés launching on The Crafty Cask Channel. The Argentines are, of course, known for more than just Malbec and Torrontés and the other varietals I tried did not disappoint. In fact, I came home with much more Cabernet than I ever would have expected! Second, I look for a backdrop and landscape that simply takes your breath away. Happy in my soul is the term I often use. And the views at every turn throughout wine country near Mendoza, once you get a bit out of the city proper, were jaw dropping. Like “ignore the person in the car with you and have your face plastered to the window for 30 minutes in awe” jaw dropping. Particularly in Uco Valley. If you make it out to Mendoza DO NOT MISS Uco Valley! Yes, it’s 60-90 minutes away but it is so worth it for both the views and the wines. I honestly might just go there (and venture up to Salta!) next time I visit. Although it is nice to have a big, bustling city at night for dinner and other activities in Mendoza. 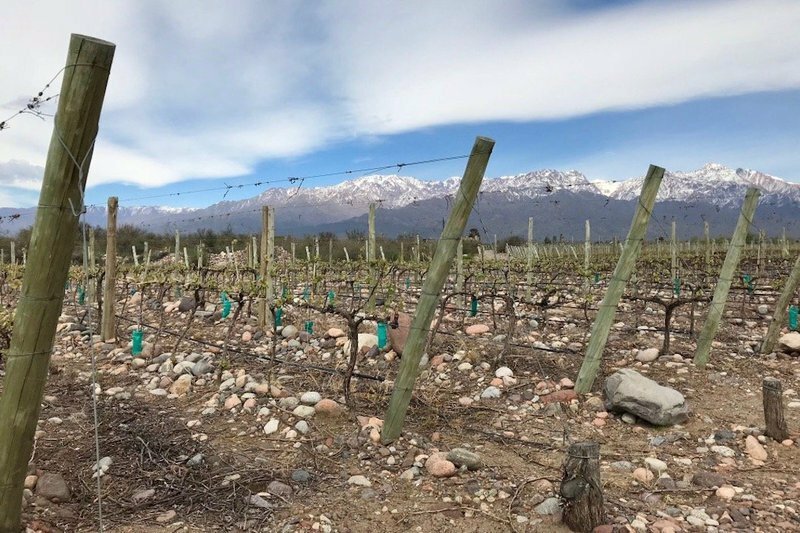 The soil in Uco Valley is much rockier than the rest of Mendoza, and it has some limestone, which lends a unique flavor profile. So despite being relatively close to Mendoza the wines are significantly different, and honestly my favorites of the whole trip. Every winery in Uco Valley, it seems, has their own portion of the Andes practically in their vineyard. I mean, up close and personal. Jagged, snowy peaks right on top of the vineyards. 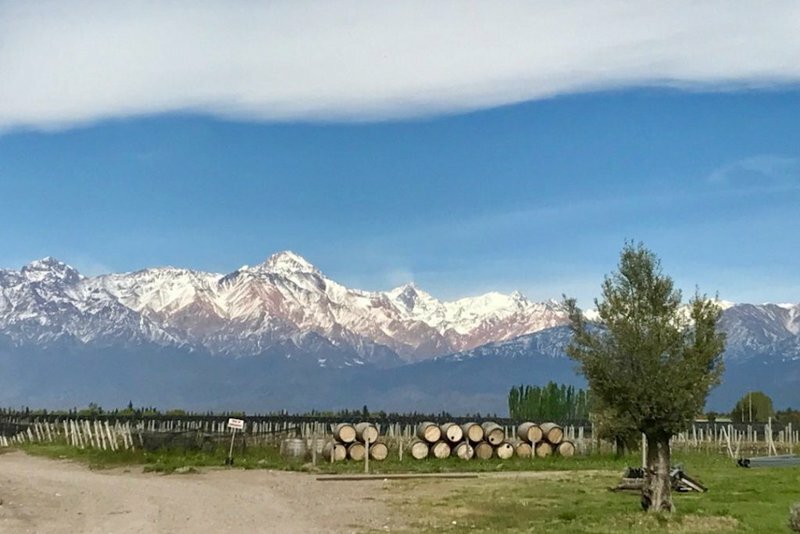 I can’t think of anything more breathtaking…and since there’s snow on the Andes year round you’ll even get these views during the height of harvest. Time for a trip back for me! But even without the vines in bloom this is a world-class wine tasting view. And every winery there does an incredible job of incorporating the views into their tasting experiences. Not just in Mendoza but all throughout Argentina…the people are happy, welcoming and just a pleasure to spend time with as you listen to their stories and learn about their culture. Part of this you can see simply by observing how they structure their wine tastings throughout the region. Unlike most of the wine regions in the US, there are almost zero walk-in wine tastings available. Everything is by appointment and everything takes a minimum of 90 minutes. So much so that if you are more than 15 minutes late they often cancel on you because they truly don’t believe they can do your visit justice without adequate time. As a first impression this can feel a little annoying. Admittedly I didn’t love this at first, myself, as someone who loves to explore, but after I experienced it a couple of times I understood. This isn’t self-importance on the wineries part (as it often can be with appointment only spots). Nor is it a mechanism to create exclusivity. 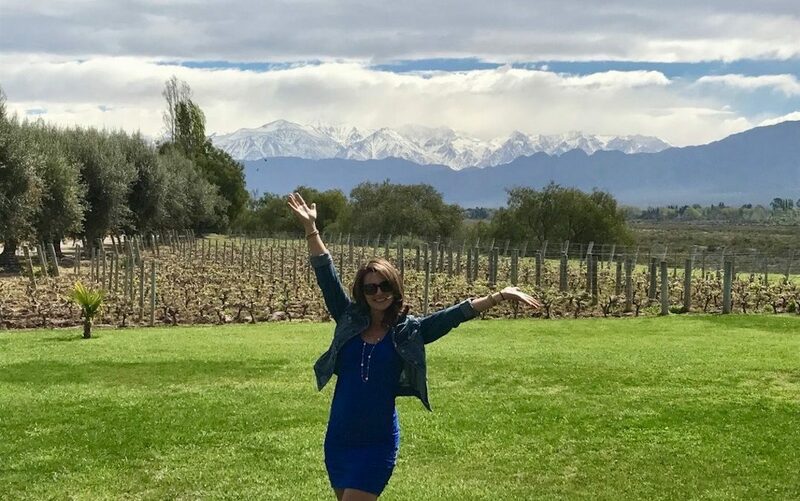 In Argentina it’s truly a way to ensure that they get to spend quality time to get to know their guests and leisurely share the joy of their venue, story and wine with them. This isn’t your typical, “how wine is made” tour and spiel. To be honest, I was worried about that with 9 winery visits planned…do I really need to hear this again?! But because this is such a people-focused culture each tour and tasting is incredibly unique as it’s entirely focused on their own story, with just a little bit of winemaking education thrown in as needed. And what stories they have! Yes, each winery has incredible unique stories. Technically that’s true of every winery in the world, but in Argentina they pay these stories the respect and time that we truly feel they deserve at The Crafty Cask. You can feel the pride throughout the tour. You can feel yourself transported to the time in history they are sharing with you as you listen. I mean, honestly I got a little emotional on a few of the tours because they’re such compelling stories told in such a meaningful way. Three of these stories I enjoyed so much that I’ll be telling them here soon. Ready for More on Argentina? Want a little sneak preview of the rest of the series? Ok, ok! 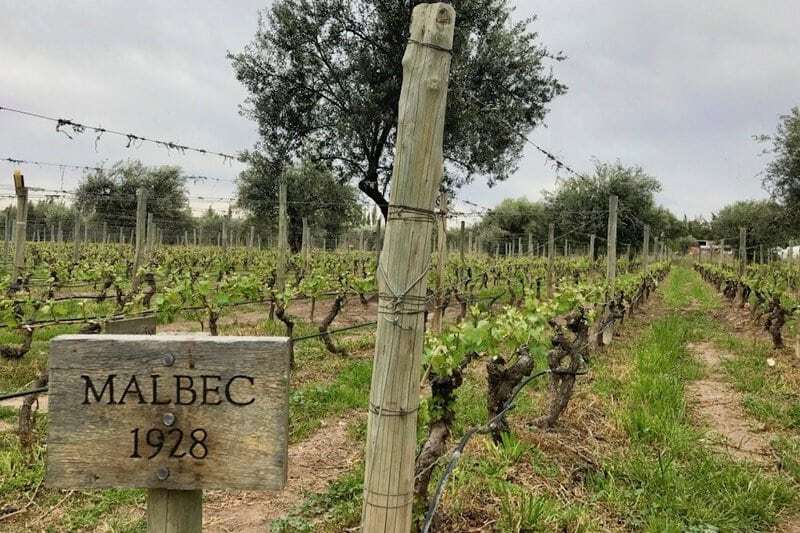 One is a drama and intrigue filled history of Argentinian wine that explains why it we just started really hearing about Argentinian Malbec in the US relatively recently. Another is the story of concrete tanks. Yawn! Right? No! It’s so fascinating how different their wine making approach is and how the use of stainless steel tanks, and even oak barrels to some degree, is newer to them. Lastly there’s the story of a particular winery, Super Uco and wine family, known throughout Argentina simply as the Michelini Brothers. This winery…gosh, I tear up with emotion just thinking about it. This place is the definition of happy in my soul and I can’t wait to share it with all of you. Oh! And we’re also sharing a fun little video on the obsession I brought home with me from Argentina…Fernet & Coke. And another one on their lesser known white wine, Torrontés. So much to share! 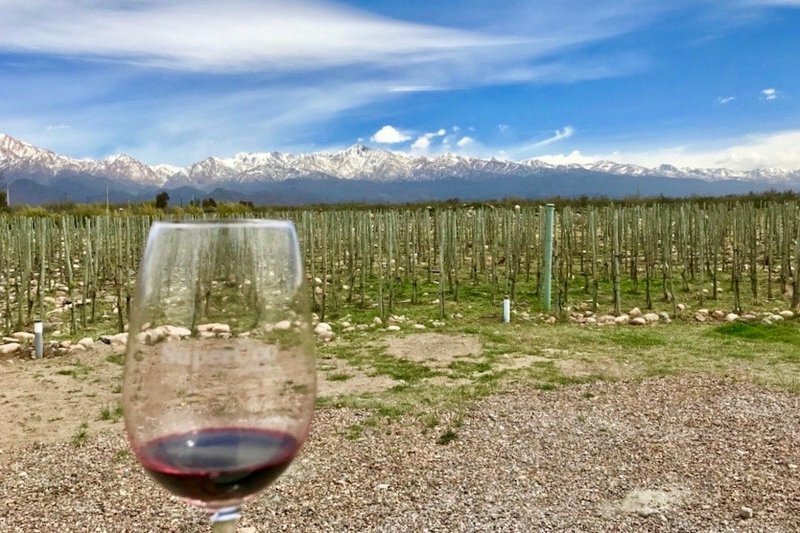 Have I convinced you to add the Mendoza wine region to your “must visit soon” list yet? 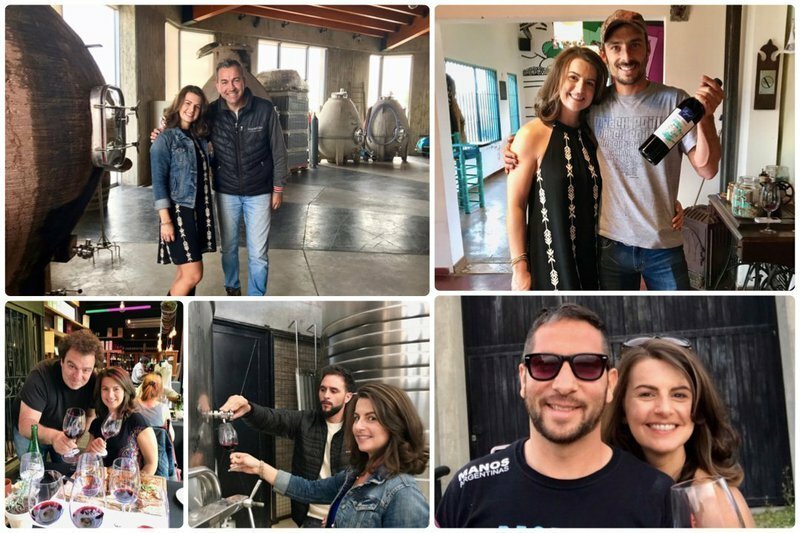 If so I have plenty of advice I’d be happy to share including an amazing private driver, Mauricio, winery recommendations and a few food spots as well…although all of the wineries feed you like 3-course meals! So if you are heading there soon don’t hesitate to reach out. If you’ve already been, what did you think? Did you have the same experience? What were some of your highlights? Ready for more Argentina inspiration? Check out the rest of this 6 part series here.